Brand Quality inspections are very important to franchise companies and completed yearly, if not twice a year. These inspections must be passed for a hotel to maintain its franchise. Berryfield prides itself on being ready for an inspection at any time. Our general managers prepare and practice inspections on a regular basis at each hotel. 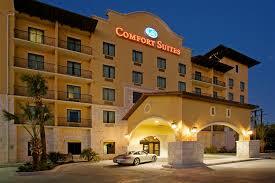 Our Comfort Inn Canton, GA is a great example of quality and success. The staff worked hard to raise inspection scores beyond the capabilities of prior owner and management. Berryfield’s November 2010 scores show a marked improvement. In May 2010 Berryfield Hotel Group began to manage the Hampton Inn Orange Park, Florida. The previous management team let the hotel service scores (SALT scores) fall well below brand standard, putting the franchise for Hilton Hotels in jeopardy. Berryfield management took over the guest service process and immediately began to implement service training. Hilton gave the hotel management 90 days to raise SALT scores above brand standards. The management team increased the scores before the 90-day deadline and exceeded the brand standard. They also increased the cash flow to the owner while fixing problems within the hotel. Berryfield Hotel Group has been a big part of our success at the Best Western Kennesaw. They renovated the hotel and have increased service and revenue as well as implementing cost controls and cash management. Their professionalism and experience are why we chose them. We have enjoyed working with Berryfield Hotel Group at the Lodge on Lake Oconee. They have assisted us in improving the hotel product, top line sales, service levels, cash flow, and financial statements. Their professionalism and suggestions to increase the value of the hotel have been invaluable. Get Started With Berryfield Today! We stayed over the weekend in the Kids Suite room. Good decision. Kids had a separate room with twin beds and TV. Room & bathroom were clean; staff was very friendly. They even let us have a late checkout without additional charges. Beyond Our Expectations! This facility was much nicer than we expected. It was new, clean, very much like home and with a lake setting. The staff was excellent and friendly. We have already recommended it to our friends. Made me feel at home. Felt like a B&B. Beautiful views incorporated with a very nice, homey room, made this hotel a great choice! The manager was very professional and polite. I would select this property again and again. After staying here once with friends, this time we brought the whole family! It’s right on the beach with its own private boardwalk. The rooms were clean and comfy with bonus extras like the down comforter and flat-screen TV. On both of my stays, our rooms were always kept tidy and with fresh towels. The restaurant next door had great food, reasonable pricing and everyone enjoyed the live beach music! The hotel’s social hour gave our group a chance to get to know the other guests in a fun atmosphere. The hotel manager was entertaining and informative, offering suggestions on local attractions and helping with cab and other arrangements. The breakfast spread was awesome; my kids loved making their own waffles! This staff went out of their way to make sure everyone felt special and well taken care of. Looking forward to summer coming back around. Seaside Amelia is our perfect beach getaway! Great little hotel in a busy retail area. Hampton Inns have great complimentary hot and cold breakfasts. This one was a good match for us. This Hampton Inn must have been remodeled and ended up almost too pretty for the price! LOVED the plantation shutters on the window — really Floridian looking.